Are you looking for portable pizza wood fired ovens? Cast stone and brick barbecues? Try also the Masonry Barbecue, they are great! Please take a few minutes to know about our commitment to protect your data throughout the site! 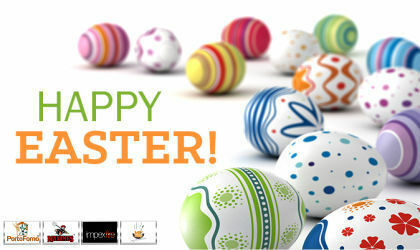 Dear clients, our commercial office will be closed to eastern vacations from the 19 of April until the 23 April 2019! Thank you for your comprehension and HAPPY EASTERN TIME!! Promotion click here: Promotions !!!! We invite you to make your choice here, in our site. Make delicious meals with any BBQ,grill, oroven, even on the busiest weeknight. We offer you a variety of ovens,andbarbecuescarefully designed just to satisfy your needs! Our products are of great quality, they are among the best in the world in what concerns functionality, beauty and durability. The guarantee runs for two years. You have also accessory for your wood fired oven, barbecue accessory and grillsfor your barbecue. Place your order online and get it delivered for free, we assure you total security. - Measures: Width: 250 cm Depth: 58 cm Height: 220 cm Weight: 970 kg - 2 year Guarantee! - Free Shipping! - Measures: Width: 260 cm Depth: 105 cm Height: 260 cm Weight: 1650 kg - 2 year Guarantee! - Free Shipping! My-barbecue.co.ukstore was conceived to offer you the best product in the market. We sell our products in all four corners of the world. You can find genuine handmade Portuguese brick wood fired ovens, cast stone and brick barbecue of high quality in our web site. Each model was carefully designed to fulfil your expectations: they keep their good looking and strength after long years of use; they don´t need any special maintenance, you just have to follow our suggestions. Contact us every time you need! Impexfire is always looking for product innovation. Follow us on Facebookand give us your feedback. See the photos of barbecues and ovensthat clients kindly send us. Any question? You can call us, we will be glad to talk to you.